The Pi Power now comes with a polyfuse on the output. This is intended to work with a TVS diode on the Raspberry Pi to protect it if the switching MOSFET fails. 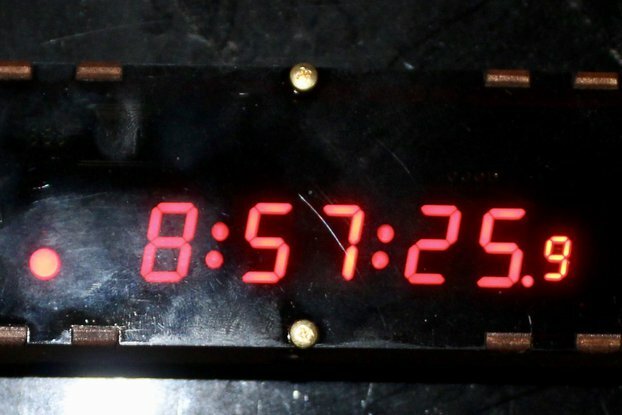 See the documentation for details. Pi Power is the power supply that the Raspberry Pi should have come with! Pi Power is a switching power supply for the Raspberry Pi. 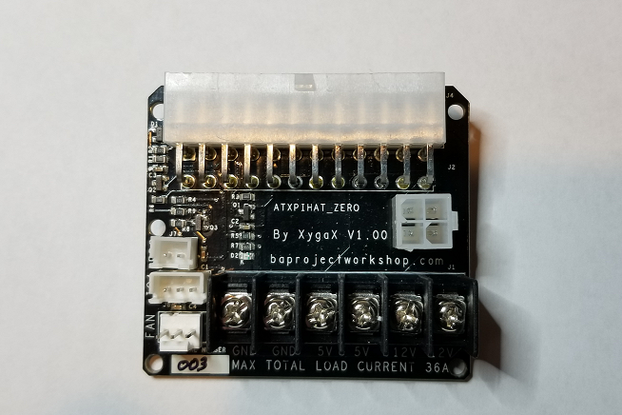 It plugs into the GPIO header, and has an extra tall stacking header to keep the board out of the way of the display connector and facilitate plugging something else into the GPIO connector as well. 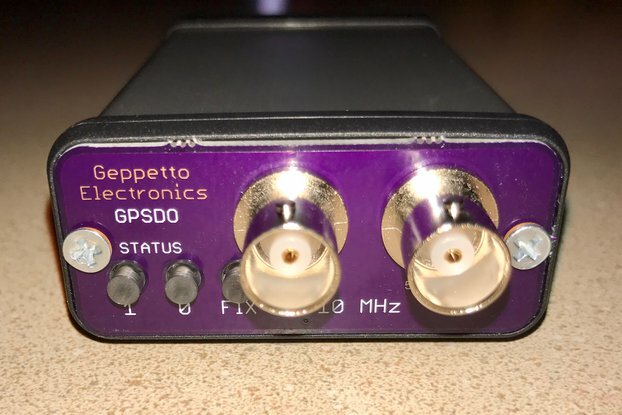 It has a 2.1mm barrel connector that will accept 6-14 VDC. It supplies up to 2 amps of 5 volts. At supply voltages over 9 volts, it has a ripple of 25 mV P-P. At lower supply voltages, the ripple goes up to 45 mV. At 12 volts, a Raspberry Pi with a WiFi module, camera and a keyboard will consume around 250-300 mA. A 10 watt 9 volt power supply is the ideal power source, but really any 10 watt source will do. Pi Power comes with a 26 pin stacking header. 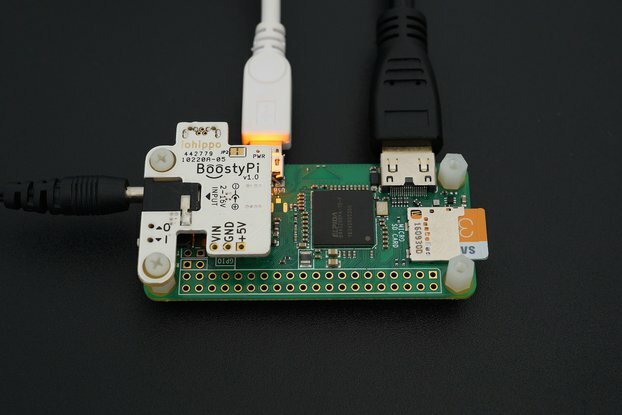 With it, you can use Pi Power with any Raspberry Pi. B+ owners can use Pi Power as an adapter for 26 pin IDC cables that otherwise won't fit properly on the 40 pin GPIO header. 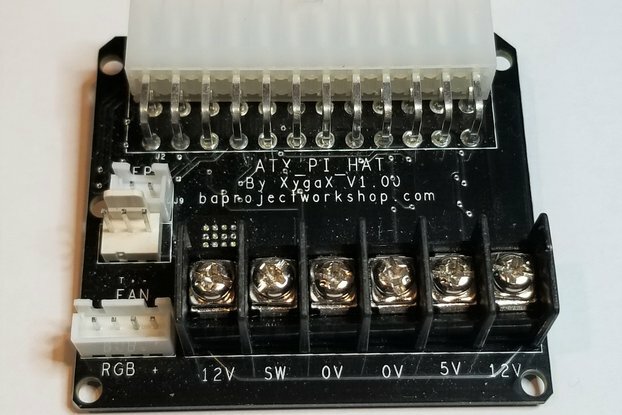 If you are using a B+ and want the full 40 pins, you can add a 14 pin stacking header next to Pi Power. 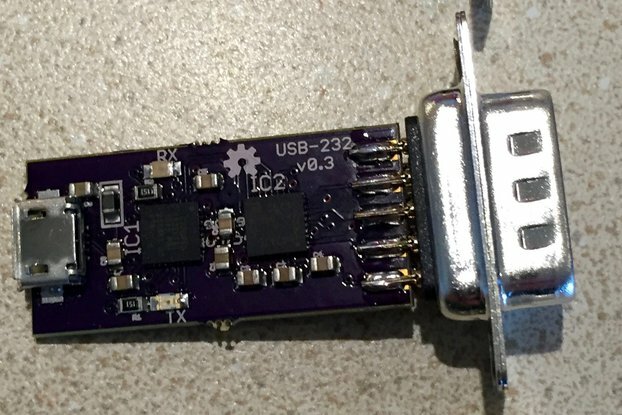 The SMT µUSB power jack is a terribly inconvenient way to power your Pi. It requires a well regulated source of high current, very low voltage (5v) power. 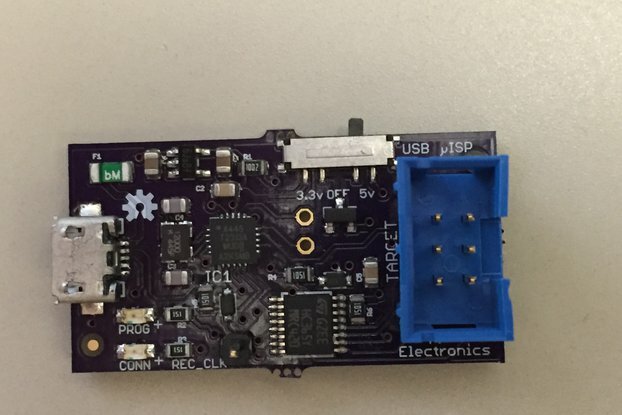 The SMT mounted jack is (relatively) delicate, and most USB power supplies are of questionable quality. 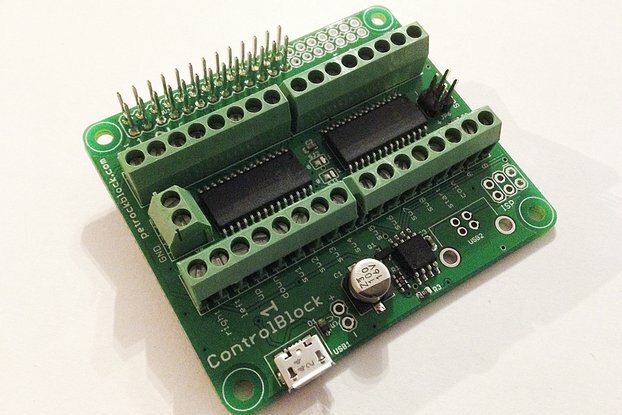 The GPIO connector, relative to the size of the board, is a much, much stronger connection. The 2.1mm barrel connector is a much less fiddly connector. There are other power supplies out there for the R-Pi. But I think this one is the best. The R-Pi will fit in the bottom half of most cases with it connected. 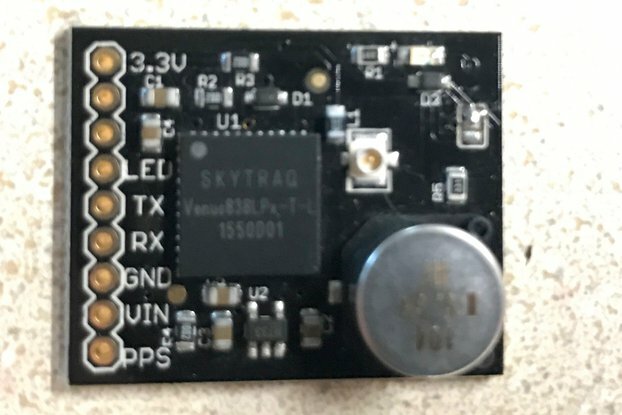 You can mount it externally and connect it with a GPIO cable if you prefer. It supplies more than enough power for both the R-Pi and any reasonable collection of peripherals you might choose to connect. For model B Pis, this includes possibly using high (up to 500 mA) current USB devices without an external powered hub. It's small, powerful, accepts a wide range of input voltages. Pi Power comes as a board with all surface mount components installed, and a stacking header for the GPIO connector for you to solder yourself. If it's not on this list, it's unknown whether Pi Power will work. Ask us and we'll figure it out and add it here. I purchased this board so that I could power my Raspberry Pi 3 and Raspberry Pi 7” Touchscreen Display using standard car, and Amateur Radio, power (13.8vdc). The Power Pi has powered both devices beautifully for the last two weeks I've used it. I had several great e-mail exchanges with the board's maker, Nick Sayer; he was very knowledgeable, responsive, and helpful. 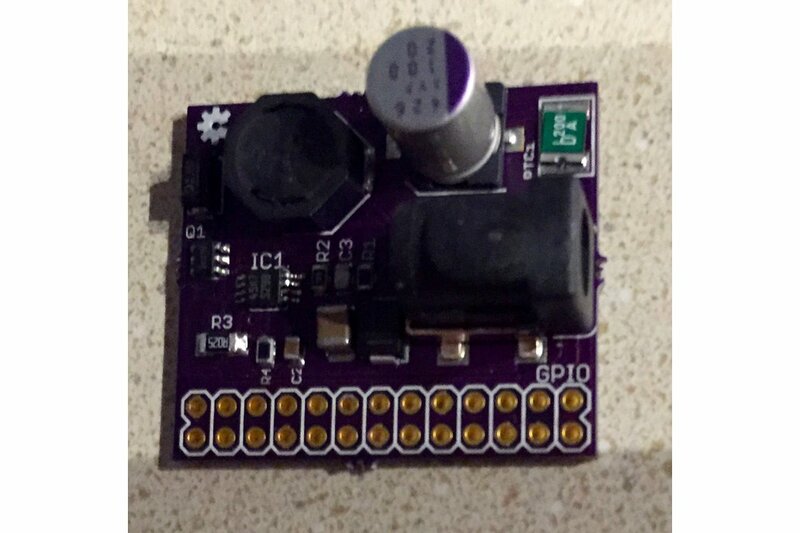 It's worth noting that the Power Pi GPIO header must be soldered onto the board before use (it ships un-soldered) and that you will need to purchase a 2.1mm barrel connector to feed power into the Power Pi. Make sure you check out the "Documentation" link on the right-hand side of the Power Pi page's description for the board's gritty details. 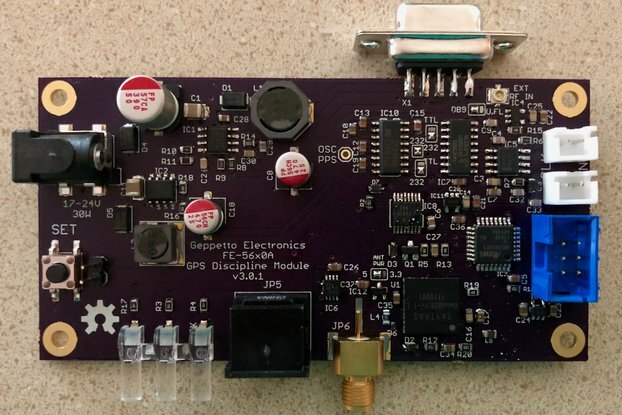 Use with RasperryPi ham radio repeater controller. This is my second purchase of the Pi Power. I use the Raspberry Pi as a controller for ham radio repeaters, and this allows the use of the radio 13.8 vdc power source to power the RPi. We have had no reliability issues over the past year or so, using this configuration. 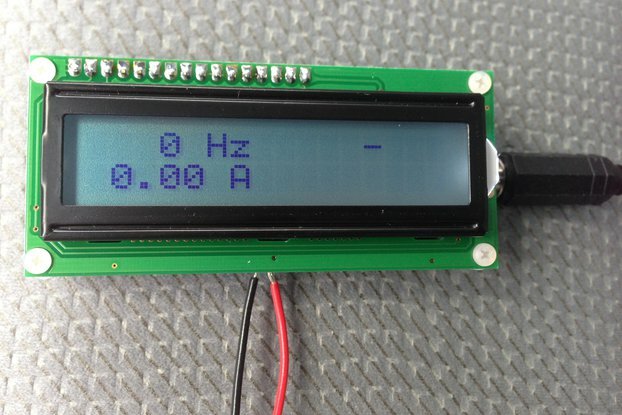 Using the radio's 13.8 vdc does require inserting a diode in series to add one diode voltage drop to assure the power source does not over voltage the Pi Power. Not an issue. Good product, did the job. No complaints with the product, did what expected and allowed me to power my Pi from a AC adapter rather than USB. Two suggestions: one include a note in the documentation that states the minimum pins that need to be connected or soldered to connect the Pi Power and Pi (yes it can be worked out from the schematic but for the sake of an extra sentence doubt could be eliminated); the second suggestion would be to provide two pins to allow easy access to the input voltage, in my case I wanted to also power a 12v relay, I soldered two wires to the bottom of the Pi Power but easy access pins would be nicer. The list of most important pins to solder a good idea. I've added that note to the user guide page. 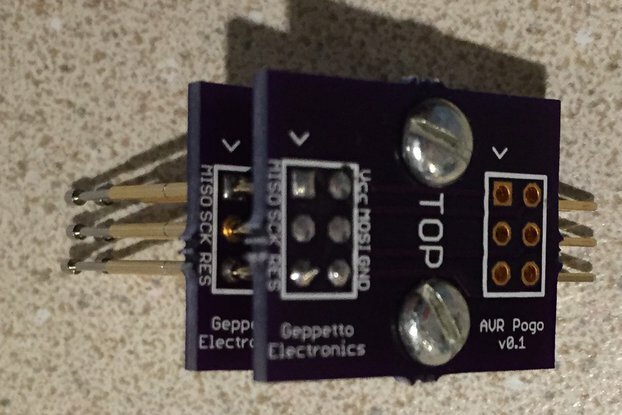 There is a user's guide at http://www.geppettoelectronics.com/2014/07/pi-power-user-guide.html. There's a documentation link on the product page on the right side under the ordering area. You don't need to solder all of the pins, but the more you solder, the better the mechanical connection. Four are a bare minimum (two +5, two GND): pins 2, 4, 6 and 25. After that, there are 4 more ground pins, and all of the rest of the pins are not connected to anything electrically. BoostyPi - Power up Raspberry Pi Zero with 2-16v!